The Rebel Sweetheart. 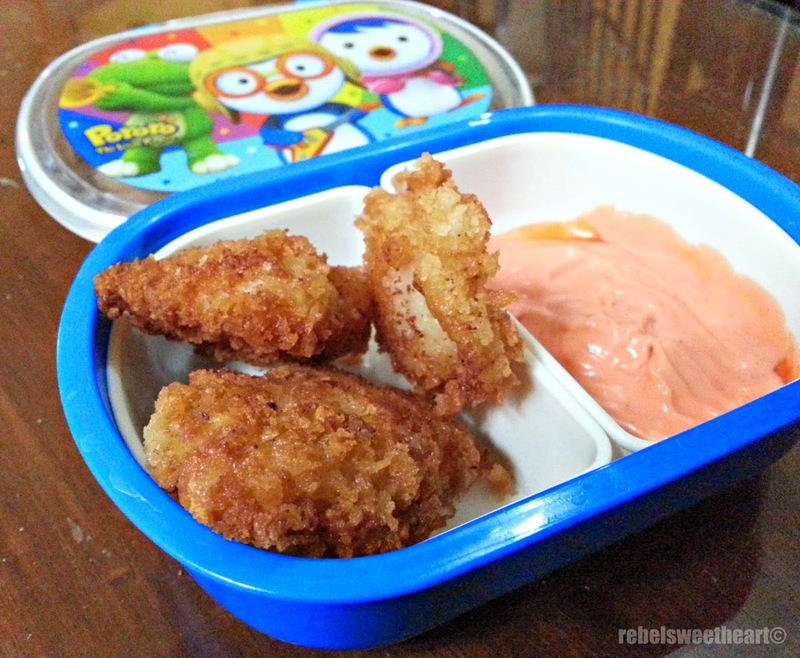 : Foodie Goodie | Fish Katsu. What's the first thing you think of when you hear the word "katsu"? I bet the image of a breaded and fried pork cutlet will usually come to mind. You might not know it, but there are actually a variety of ways to cook and enjoy this popular Japanese dish. Also in the list are gyukatsu - which uses beef, and chicken katsu - which, as the name suggests, uses chicken. There's also fish katsu - and yes you guessed it right - this one uses fish. This dish is quite popular in South Korea, and has been adapted into Korean cuisine. They call this 'saengsun katsu', and if you're following me on Instagram, you might have seen my bento from last week which features this dish. 1. Marinate fish in calamansi juice, salt, and pepper for 10 minutes. 2. In a bowl, add the eggs and sesame oil. Whisk well, then set aside. 3. Dredge the fish in flour. 4. Dip the fish in the egg mixture. 5. Coat the fish with Panko bread crumbs. 6. In a frying pan, heat the oil over low heat. 7. Place the fish in the pan, and cook until the panko bread crumbs turn light golden brown. 8. Turn the fish over, and cook until the underside turns light golden brown as well. 9. Remove from the pan, and drain the fish on paper towels. 10. Serve with fry sauce* and shredded cabbage on the side. *Fry sauce is a simple combination of ketchup and mayonnaise, a condiment for dipping french fries. that looks yummy :)...my kids love katsu, chicken mostly. It's pretty much like nugget, but much better :).. Thank you for the delicious sounding descriptions and recipes. I will definately try it soon. Thank you for sharing the delicious sounding descriptions and the recipe. The recipe sounded like it was easy and yummy so I will be trying it soon. Making your own fried fish is so much better than buying the frozen premade kind. I hope we catch some fish this weekend. Yummy, this looks like a great option. I wish that I had some fresh fish to make this dish with. I am not a huge fan of using frozen fish from the grocery store. Oh, I love panko bread crumbs...always have some of those in the pantry! I would love to try the pork cutlets you described. My mom would love the fish katsu. Yummy! Can't wait to try this at home! I never heard the term katsu before but of course I am familiar with fried fish, chicken etc. This does sound like a delish recipe for the fish katsu! I did not this stuff about the cuts of meat. I will have to try to make this. Thanks for sharing. All those katsus sound delicious! Thanks for sharing a great recipe! another easy-to-do recipe for busy moms like us. good thing my Sofia loves eating these kids of food kaya pag tinatamad mag prepare ng ibang dishes, ito nalang! I will bookmark this recipe. We love cooking fish fillet, para maiba naman.